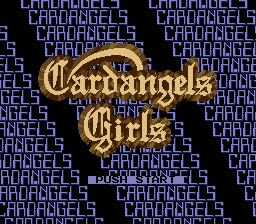 Just a slideshow with the girls from the Super CD-Rom� game: "Cardangels"
The CD core has been completely rewritten from scratch! It now can play in random order(not easy)! 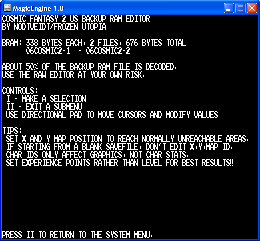 This is an editor for the backup ram savefiles of Cosmic Fantasy 2. If using Magic Engine, use the "old" backup ram or else the files will not be found. A little character selector which could compose an overlay in a full cd game. Translation with pallete effect over a background. The new hero of the pc engine is here. Ok, this one is a bit 'empty' but it's the first game of this style. Close to what Aramis made... but completely my own code... and OPEN SOURCE!